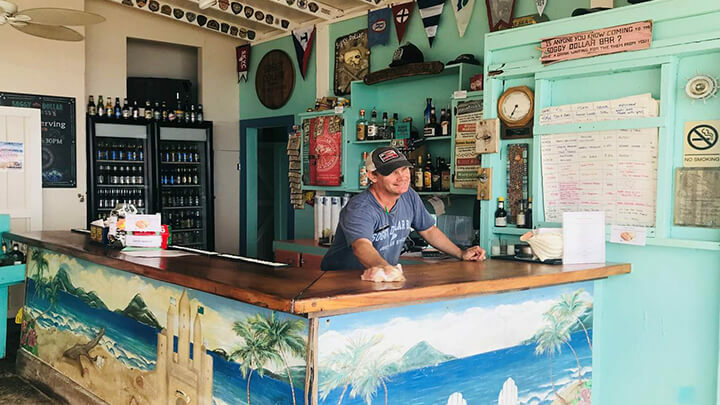 The world famous Soggy Dollar Bar, an idyllic beach bar located on picture-perfect Jost Van Dyke in the British Virgin Islands has reopened! We are thrilled that those who previously swam the shores of White Bay to buy a delicious Painkiller cocktail (or 2!) with their soggy dollars can resume business! Get in touch for the opportunity to have your toes in the sand and a Painkiller in your hand!